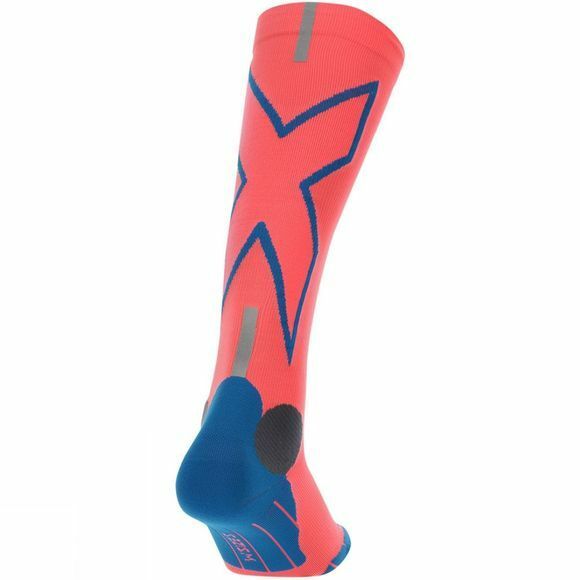 The 2XU Women's Hyoptik Compression Sock is the bold new offering for winter to ensure you are seen. 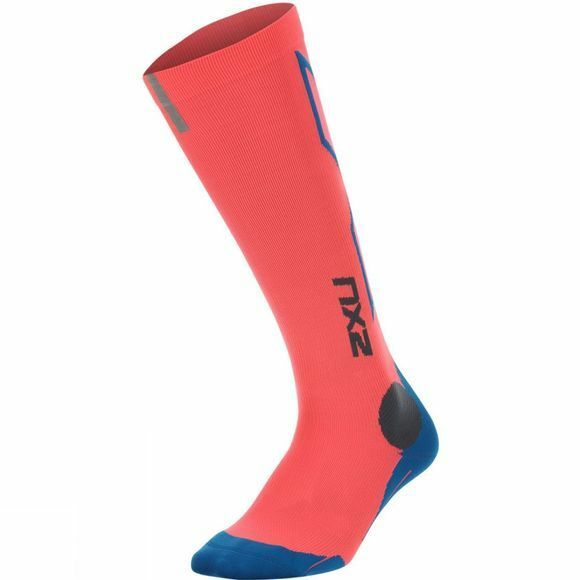 Featuring bold X logos on the back of the calf and Hyoptik reflective strips for greater visibility and safety on low light conditions powerful compression supports the calf and shin with gradient engineering for improved warm up and recovery. Seamless toe cage for added comfort and abrasion resistance along the toes. Don't fade into the darkness this winter.